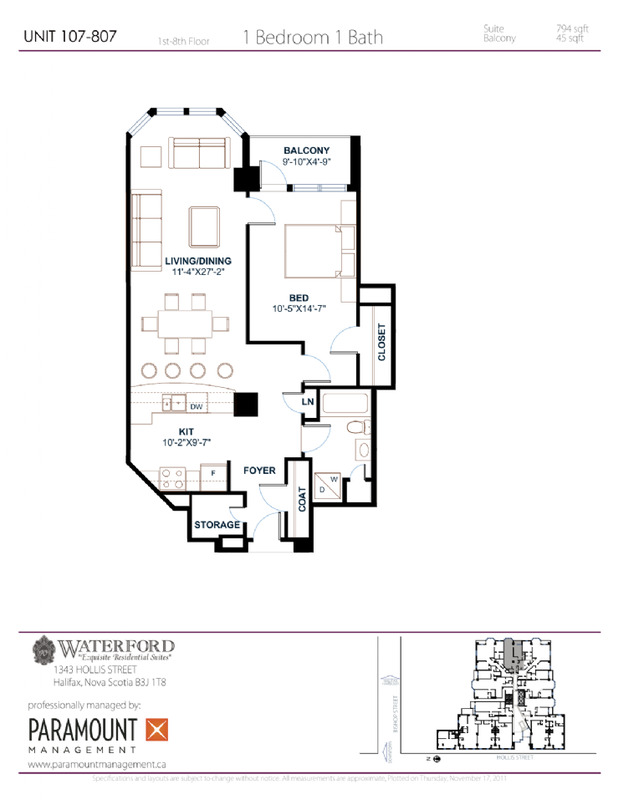 Located in historic downtown Halifax, the Waterford has a great selection of unique floor plans to suit your taste and style. The building offers all the "must haves," such as two elevators, controlled access entry with 24-hour camera monitoring, an underground parking facility, a beautiful rooftop terrace with harbour views, a well-equipped exercise facility and much more! This lifestyle is supported by a professional staff dedicated to the best in personal service. Call today for your private showing, and discover why Waterford Suites is the best choice in Downtown Halifax.